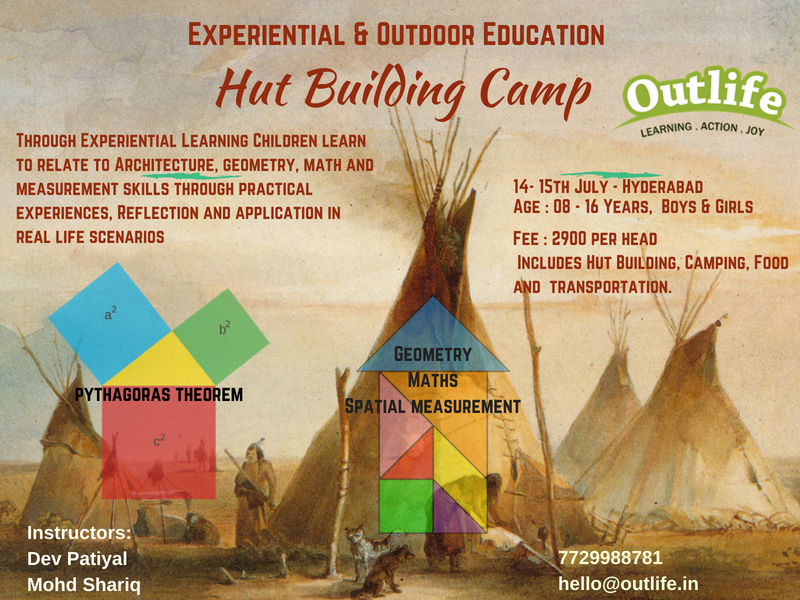 For Children Aged 8-16 Years. Fee: - Rs 2900 per head. When we simplify life to its bare essentials, it is Roti, Kapada, Makaan. In our journey of fulfilling these needs of food, clothing and shelter we explore the world, we build ourselves, we form relationships and we learn about life and ourselves. Ironically, we do all of these to fulfill our basic needs. Our basic needs have also evolved tremendously from caveman to gated communities. Food, Clothing and shelter patterns have altered our lifestyles and now the reverse is more evident. It is interesting to know how our shelters have changed with time. More, interesting is the different type of shelters to suit the environment and geographical locations. Huts to apartments to gated communities to villas to tipis to igloos to name a few forms of shelter that exist in different geographical locations. Huts have an interesting history and have existed since nomadic cultures. Built entirely of raw and locally available materials, they stand strong and can withstand harsh weather conditions. It can be built and transported easily. To know more, participate in our workshop. A weekend's getaway could become an enriching experience for your child. What are you waiting for? Call us and book your seat.